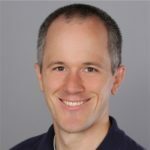 In several previous posts, I discussed a customer scenario I ran into recently that required issuing bearer tokens from an ASP.NET Core authentication server and then validating those tokens in a separate ASP.NET Core web service which may not have access to the authentication server. Visual Studio 2013 Preview shipped with support to create new ASP.NET projects that can be easily configured with organizational accounts. This support has been simplified and enhanced in this RC version. You can find a detailed step-by-step tutorial on creating an ASP.NET MVC project with single organizational identity at Developing ASP.NET Apps with Windows Azure Active Directory.